Natural born entrepreneur, Jean-Michel Lebeau founded Cortex in 2009 after being in the tech industry since the age of 15. Captivated by innovation and technology that creates value, Jean-Michel is always chasing the next boundaries to catapult Cortex’s clients to the next level. 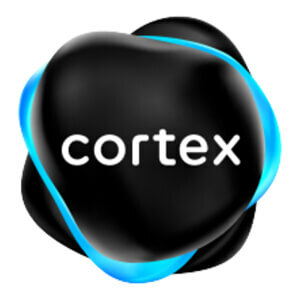 Cortex is your innovation & development department of all its clients. Our team of specialists evaluates your business objectives, seeking out potential opportunities for innovation or optimization. Once analyzed, we propose novel solutions, custom designed, and exclusive to your company. Through high-end software and tech expertise, we promise fast value and ROI delivery, accelerating our partners to industry leader status. No matter if it’s AR-VR , Natural Language Processing, IoT , Ecommerce or Web & Mobile Apps, Cortex is your partner in everything technology where peace of mind is de facto. We consider ourselves pretty knowledgeable and well rounded. Our job is to stay ahead of the curve by investing in R&D and in the education of our employees. We already drive our team by investing in them. Every month, we hold meetings in which we discuss trends and new technologies and invite anyone interested in them to increase their knowledge on the subject with any resources they might need. We push our teams to keep on innovating and staying on the bleeding edge of our industry. For us, transparency is one of the most important characteristic a business like ours can have. Since our industry is mainly based on “new technologies” that not everybody comprehends or necessarily know how to use efficiently, transparency is quintessential to building trust. So, from our employees to our clients, we always promise the truth. Concretely, when a client comes to us with an idea, we go through thorough analysis of the problem they want to solve or goal they want to achieve and only then can we tell them exactly what the best approach would be. If the approach he wants to take is not the most efficient, we will expose to him every possibility at hand so he can make a enlightened decision. And if our services are not suited for his needs, we will immediately tell him: What he needs and where he can find it. We differ in not changing what’s already working: staying lean, focusing on the real problems, and getting things done. Our pricing model is pretty straight-forward as we charge hourly on a monthly or quarterly basis. We also do full turnkey projects with a fixed budget after a proper analysis phase where we’ll challenge most assumptions and technical risks. They will be our bread and butter. Cortex thrives on new technologies and harnessing them as fast as possible so we obviously see great potential in them. We are well entrenched in all those services and we see the demand for such technologies expanding by the day. The key will be to find creative ways to make them work together to drive as much results as possible as we don’t want to build gadgets for our customers. Manufacturing and other industries that are adopting technologies at a very fast pace. We are building a very robust expertise in building complex AI driven chatbots for the fintech industry. We think we bring a tremendous amount of value in that space and we hope to keep in doing so for the next years.